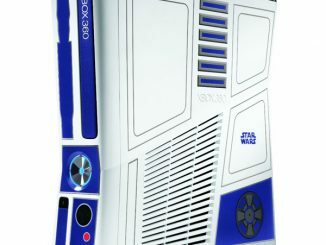 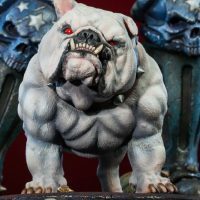 Frag me! 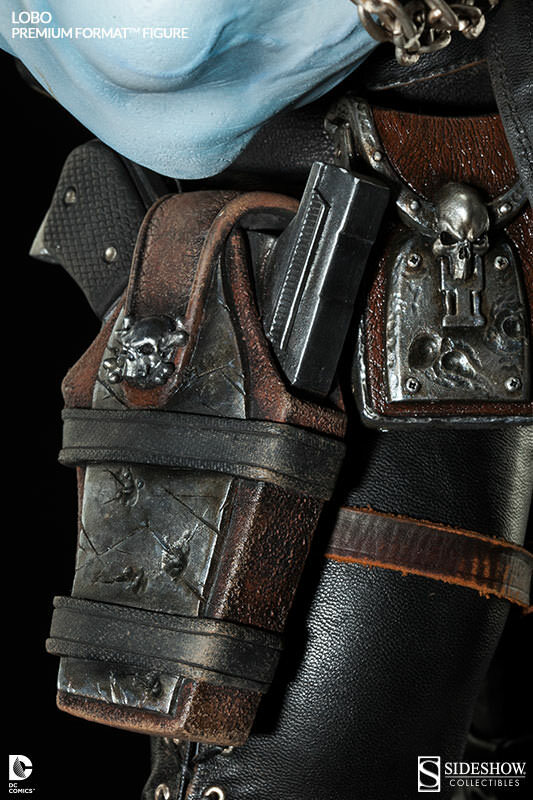 Listen up, bastich. 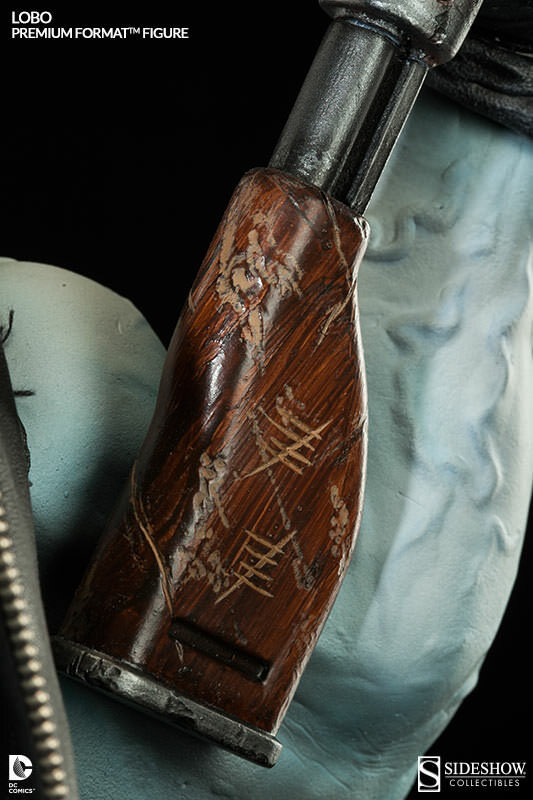 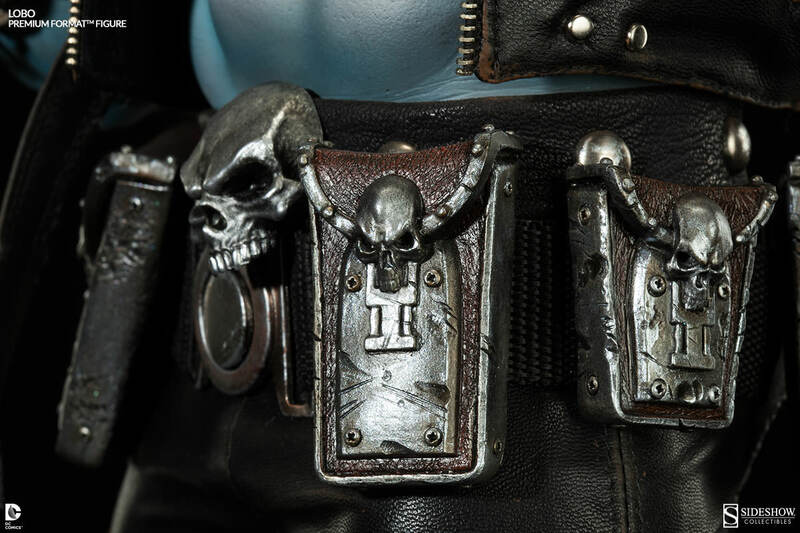 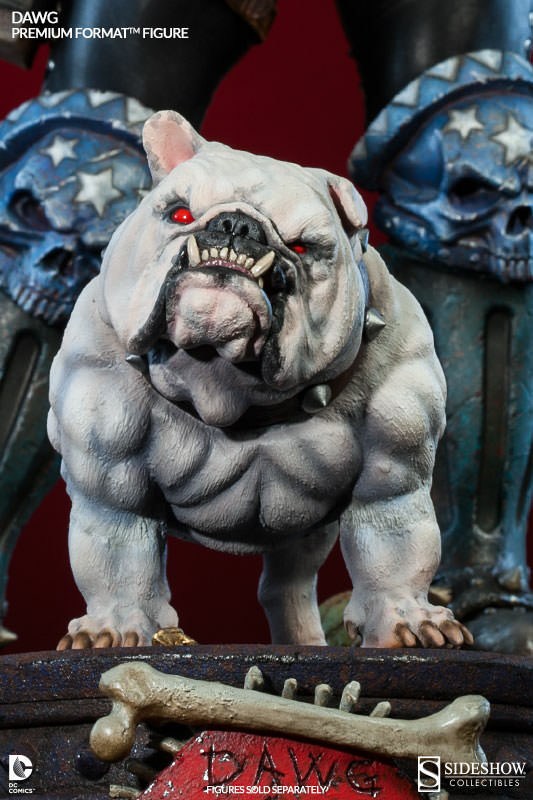 It’s time to find out if you’re tough enough for the Lobo and Dawg Premium Format Figures. 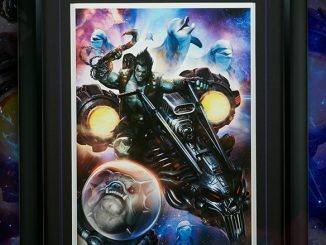 Non-lovers of space dolphins would be advised to just move along and pretend there’s nothing to see here. 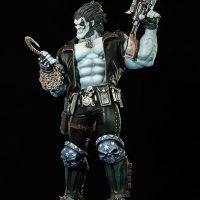 The main man of DC Comics might have a smaller, wimpier impostor running around the New 52 universe these days but there’s only one Lobo. 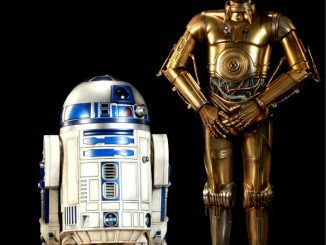 He basically made sure of that when he wiped out everyone else on his planet. 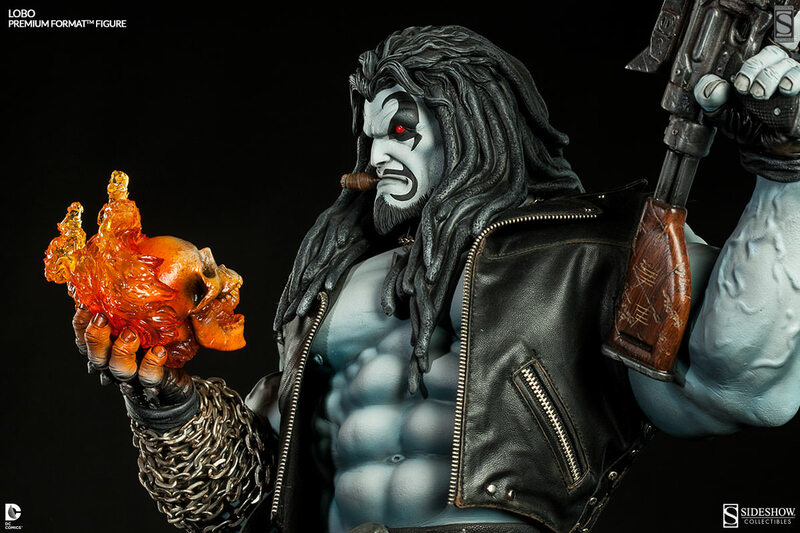 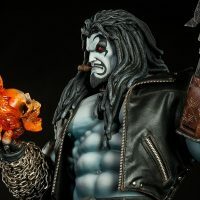 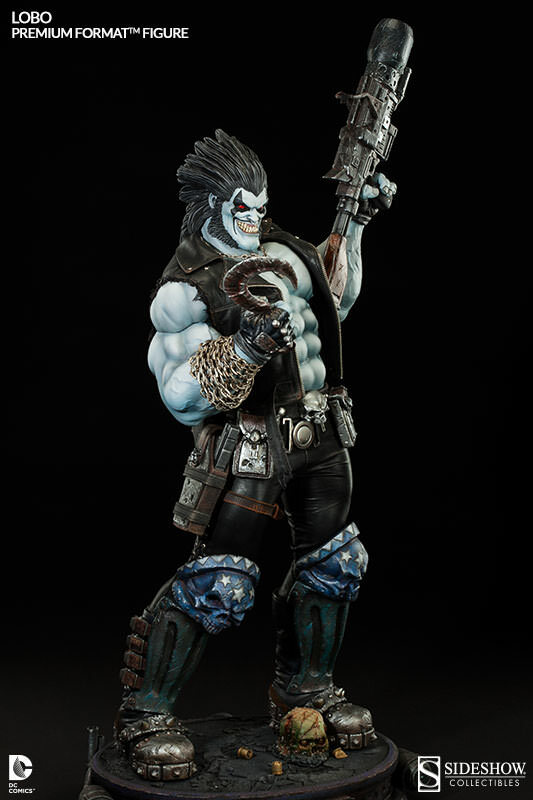 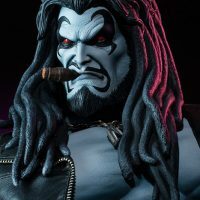 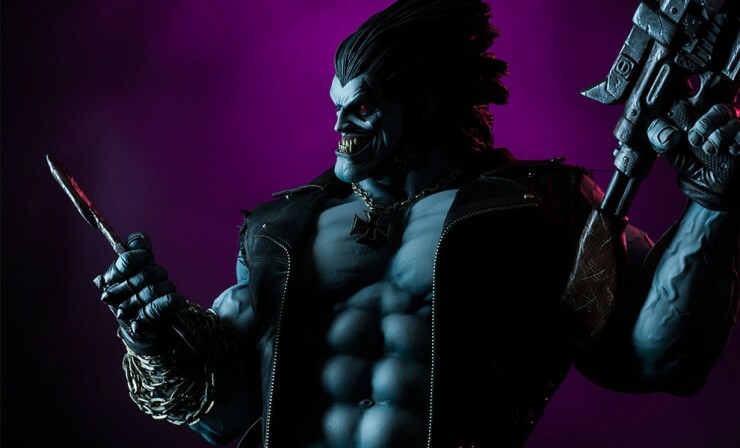 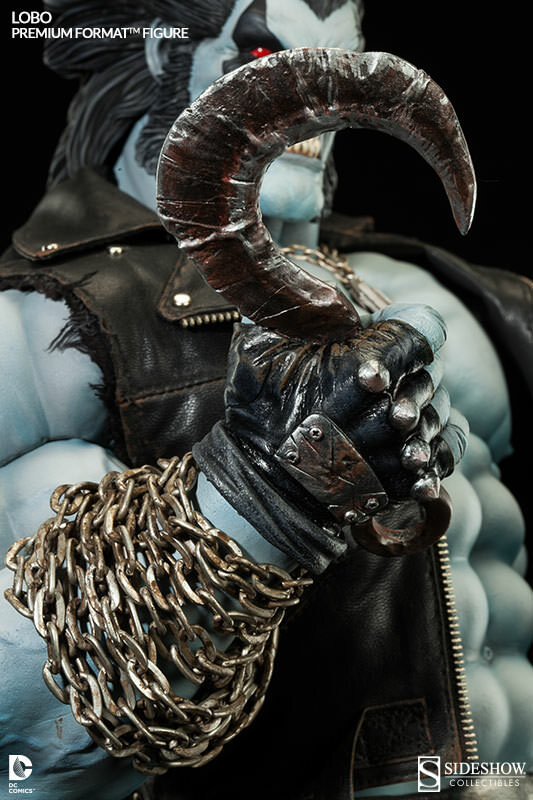 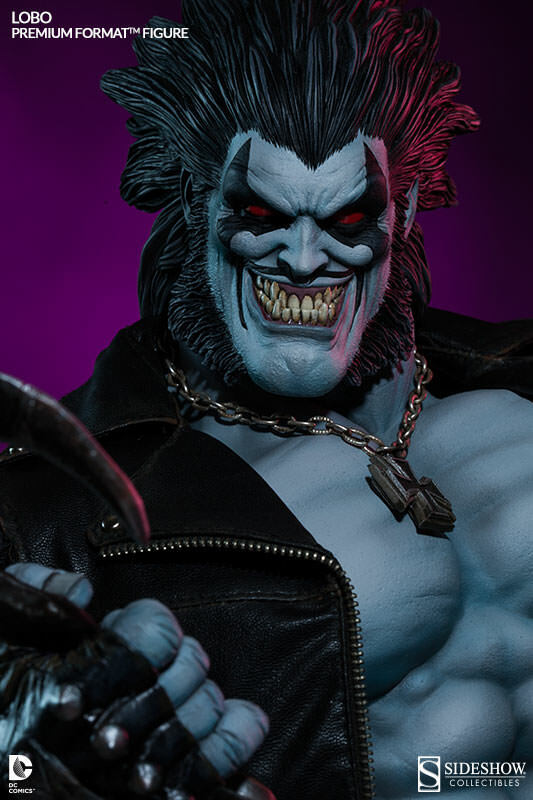 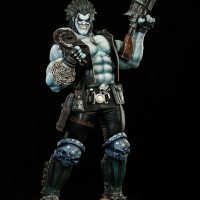 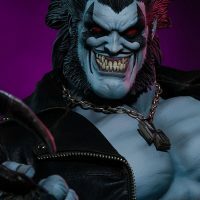 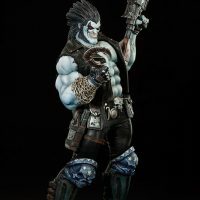 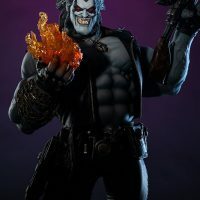 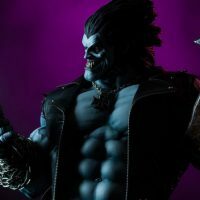 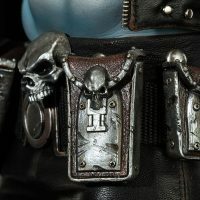 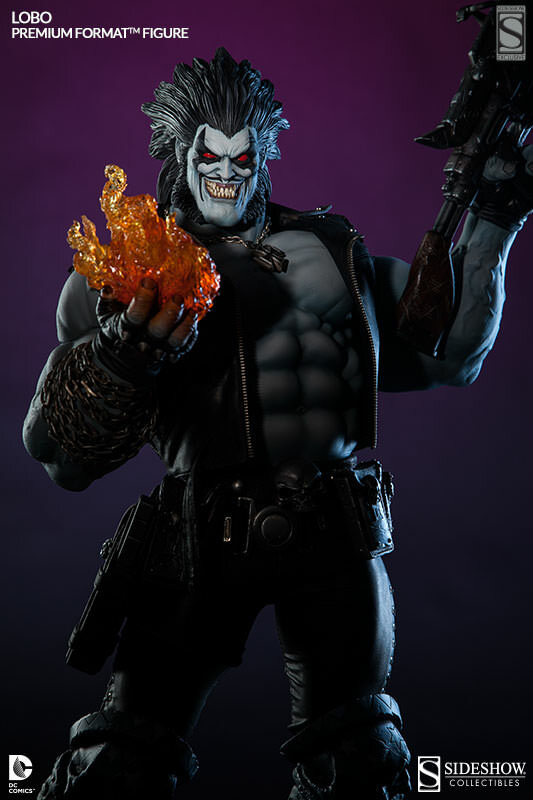 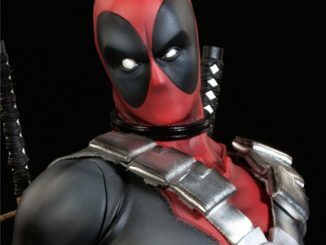 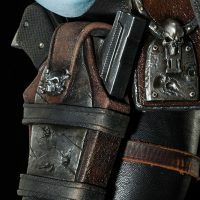 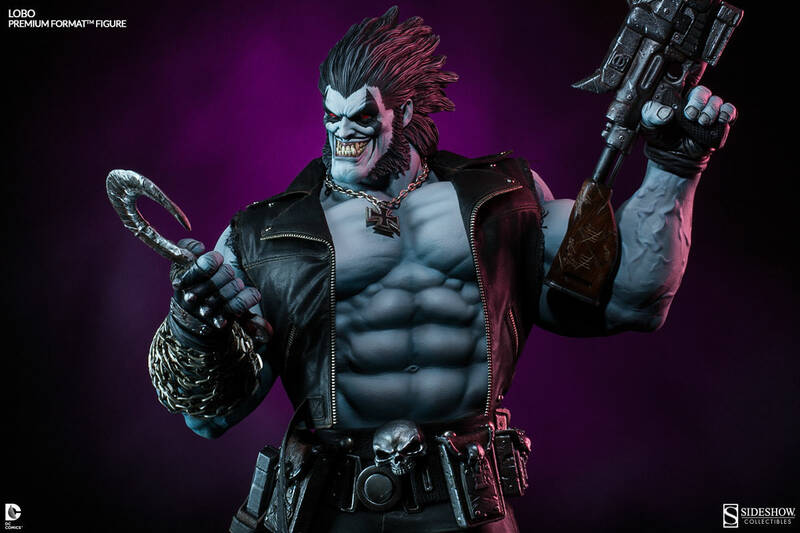 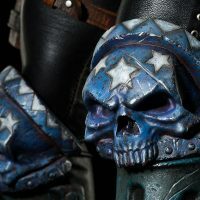 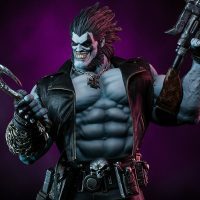 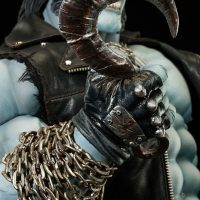 Standing over 2-feet-tall, the Lobo figure comes with a hand-tailored costume and two interchangeable portraits: One featuring a spiked-back hairstyle and evil grin. 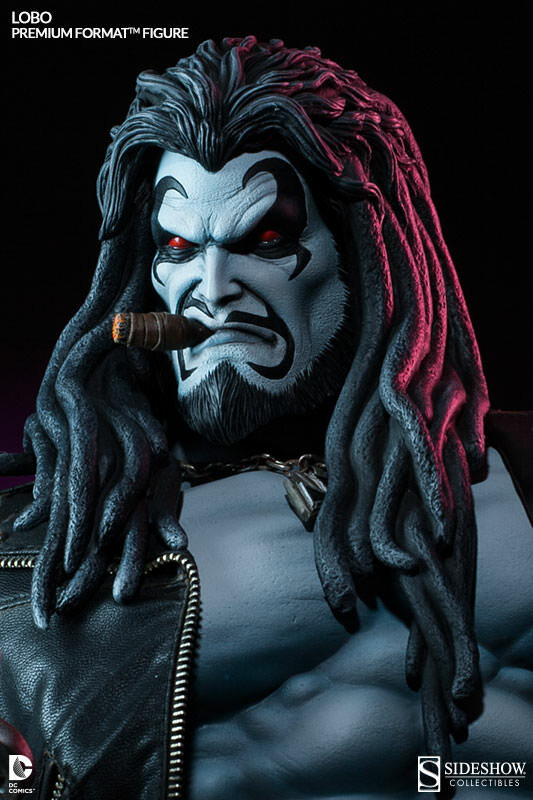 The other reveals Lobo’s dreadlocks and a serious glare as the bounty hunter chomps on a cigar. 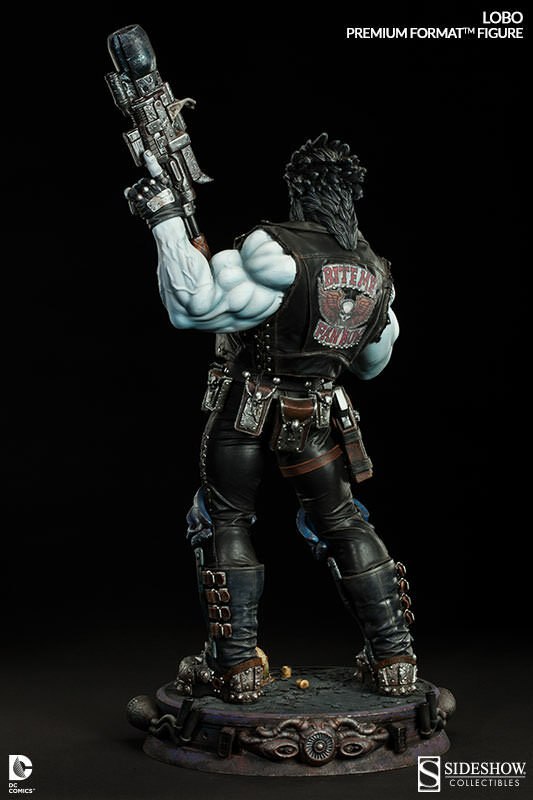 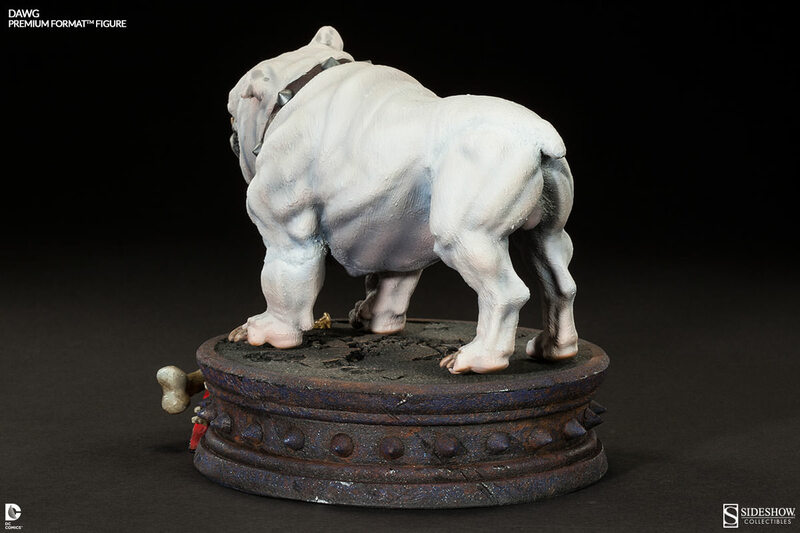 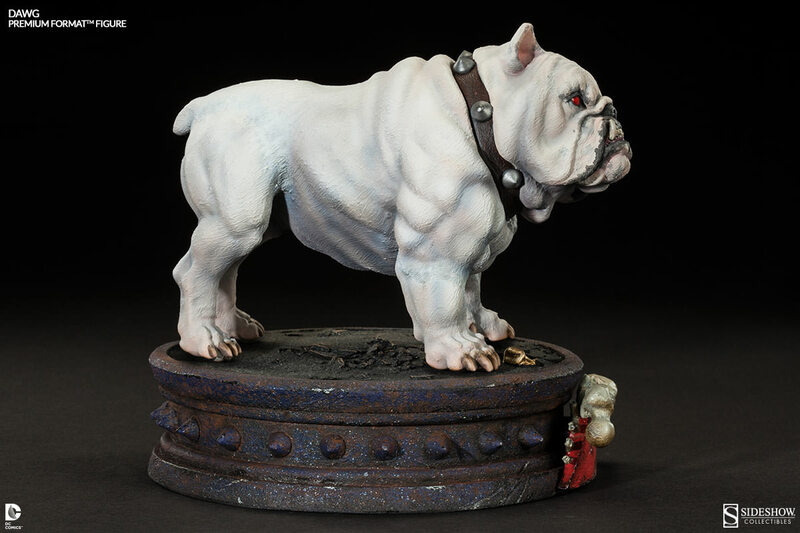 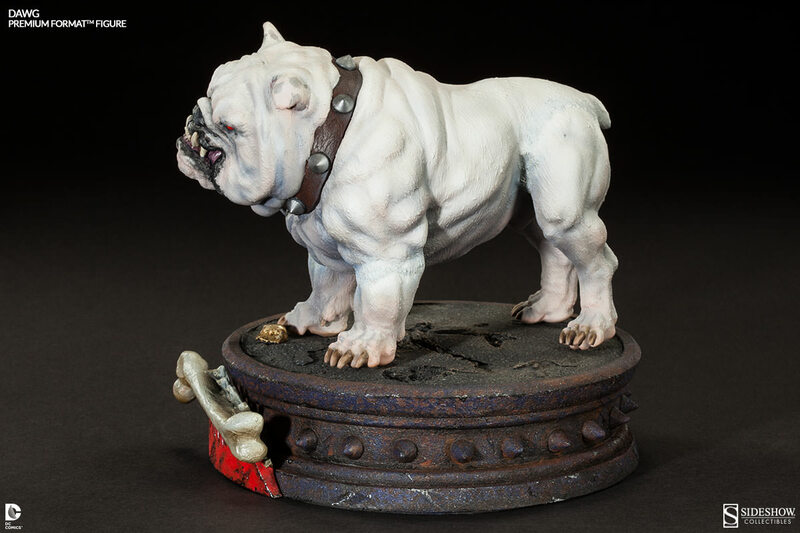 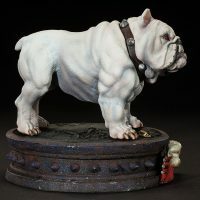 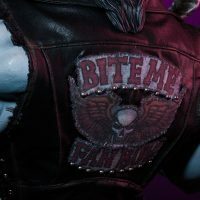 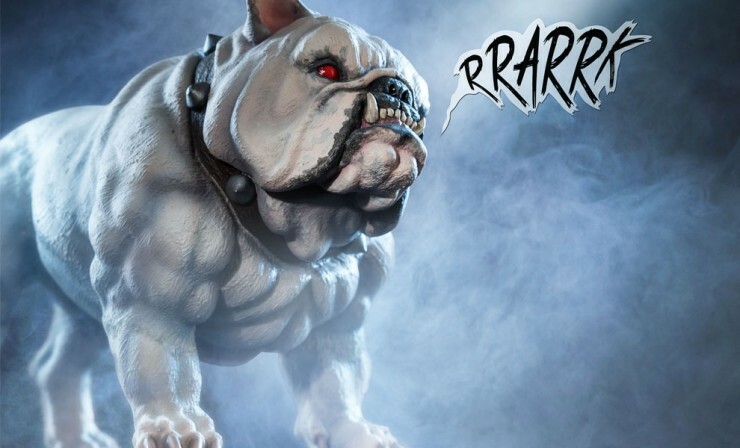 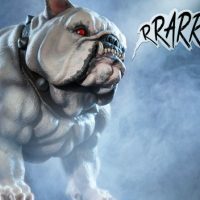 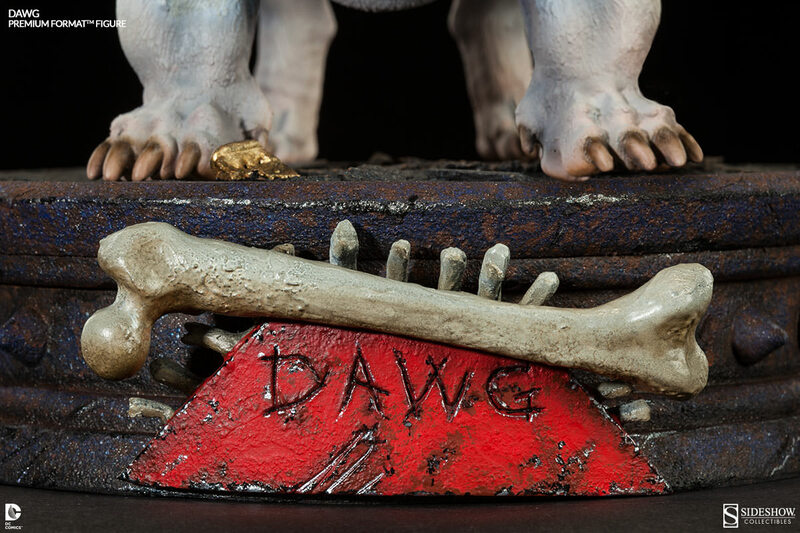 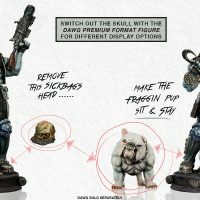 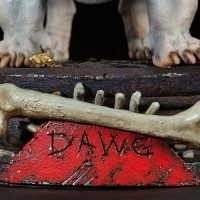 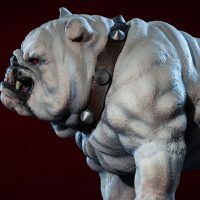 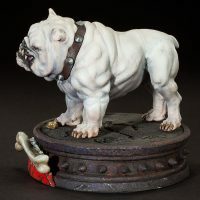 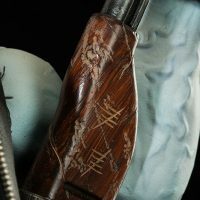 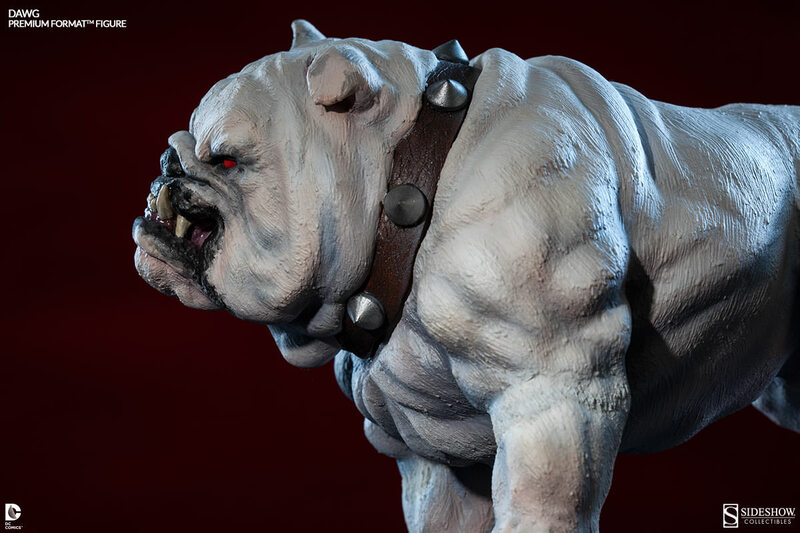 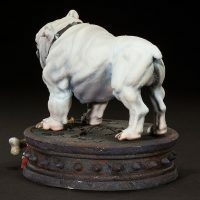 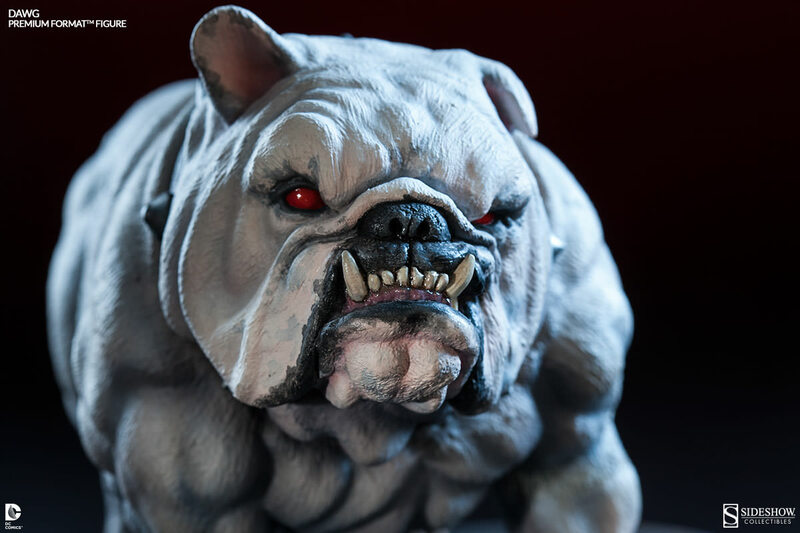 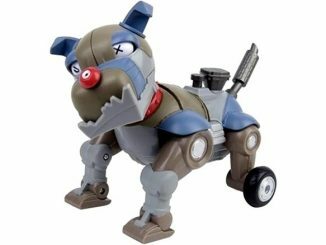 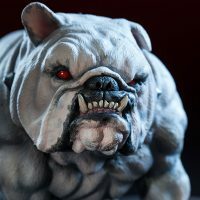 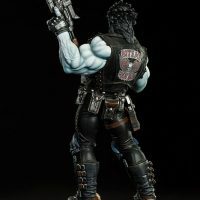 Sold separately but able to be connected to the base of the Lobo figure, is Dawg, the pale-white bulldog that’s just as tough as his master. 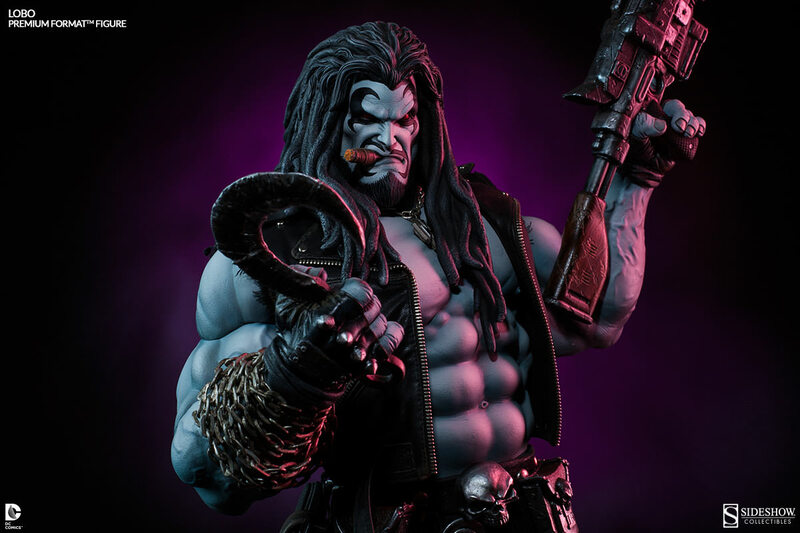 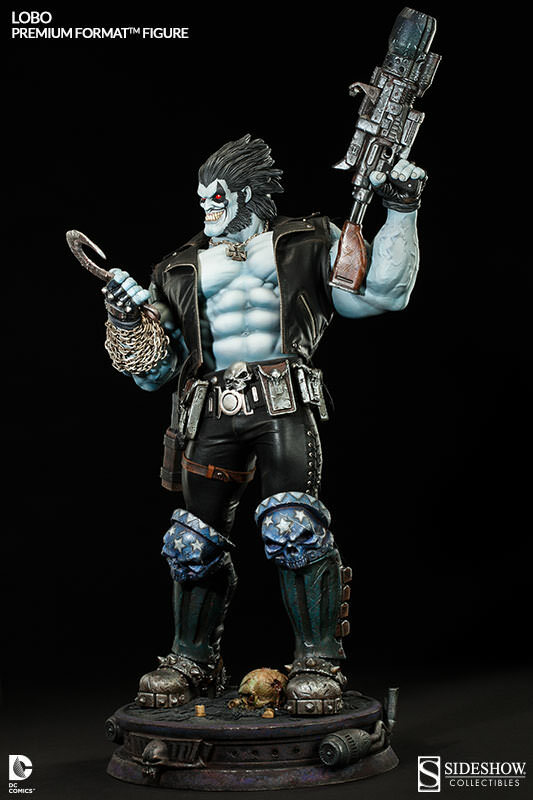 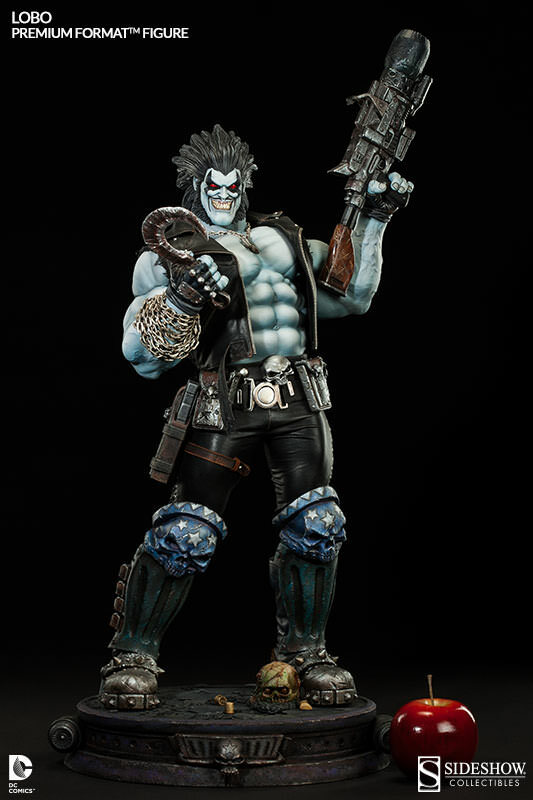 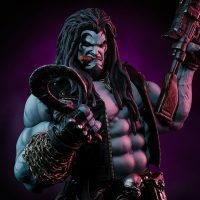 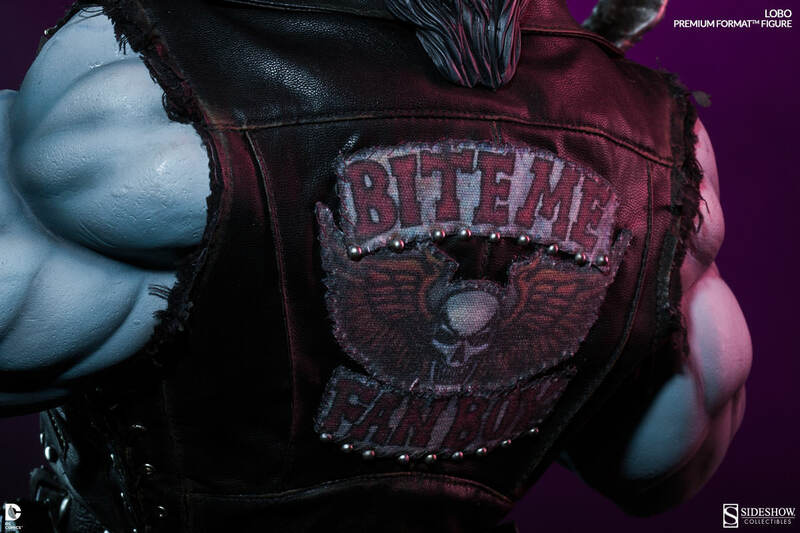 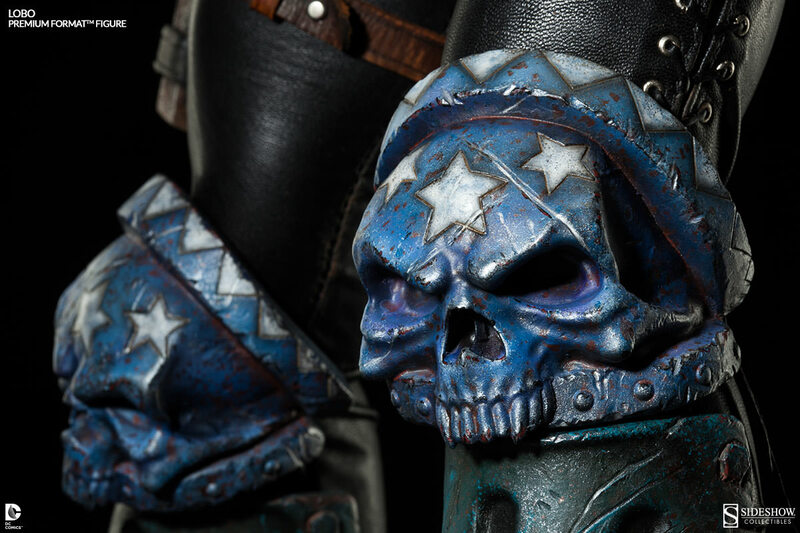 The Lobo and Dawg Premium Format Figures will be available May 2015, but they can be pre-ordered now at Sideshow Collectibles. 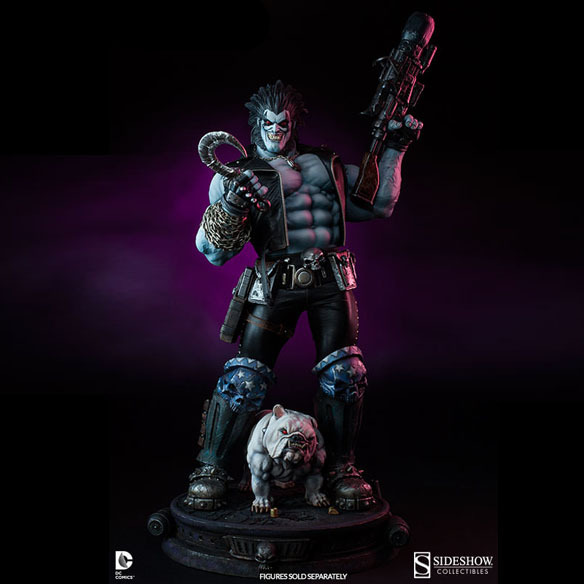 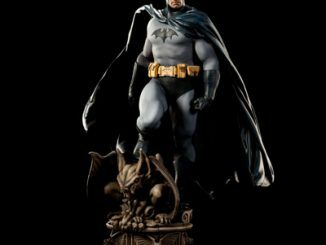 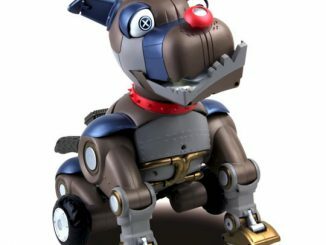 The Lobo Premium Format Figure is $579.99 and the Dawg Premium Format Figure is $134.99. 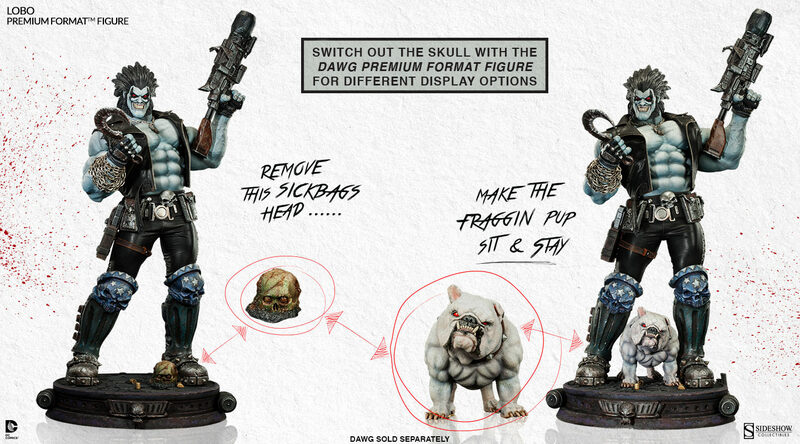 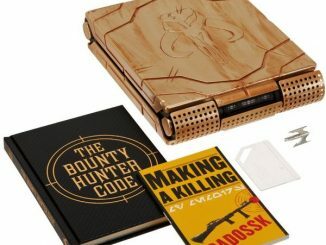 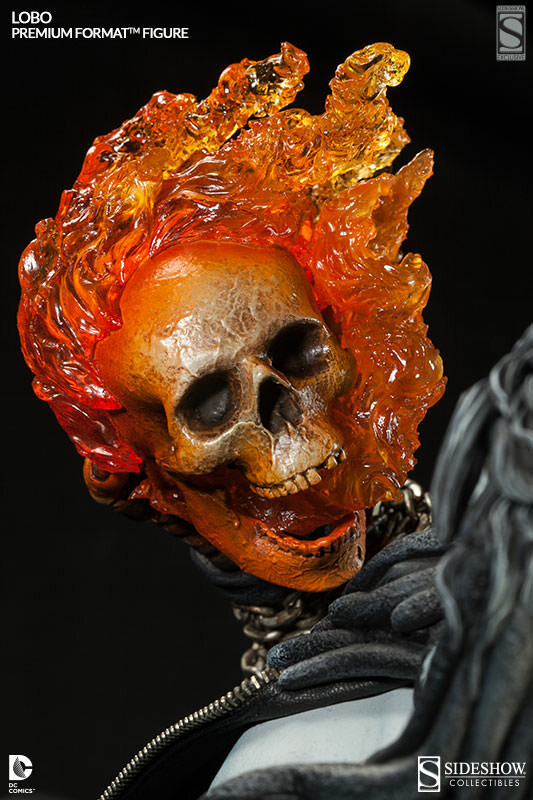 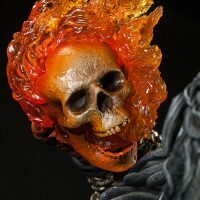 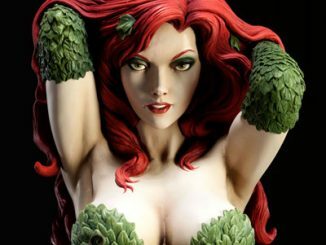 You can also buy the two figures together as a bundle and get $20 off your order. 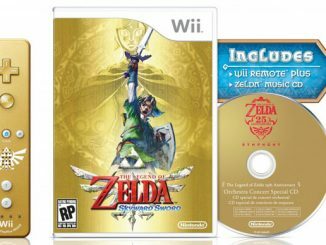 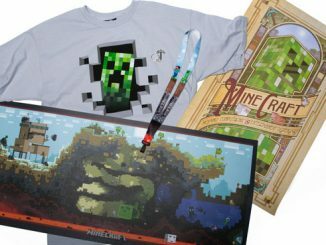 The bundle discount expires at Midnight PT on May 1, 2015 or while supplies last!